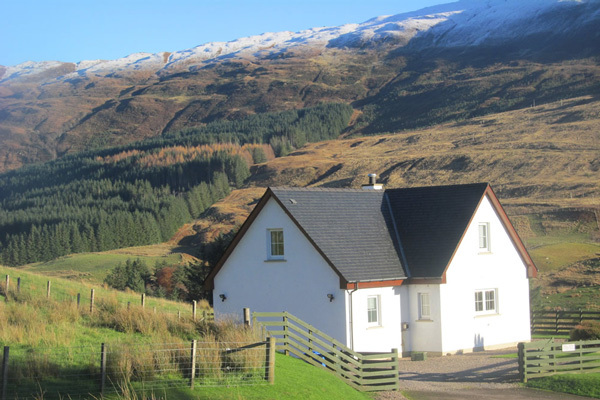 Brae Mhor is situated in its own private grounds in the small crofting settlement of Blarmafoldach, a location with all the joys of the countryside and yet conveniently located only 3 miles from the Fort William town centre. 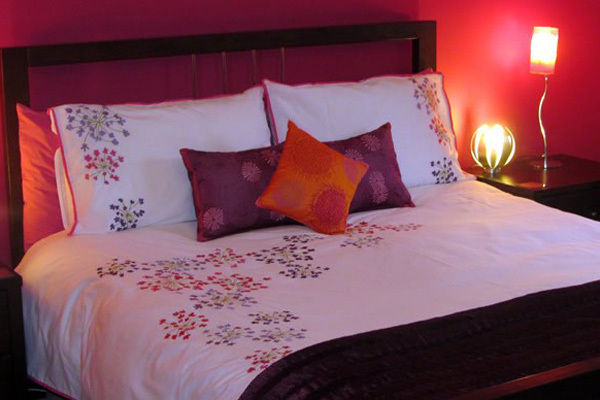 Two double bedrooms (one ensuite) and one twin bebroom accommodate up to six in comfort. 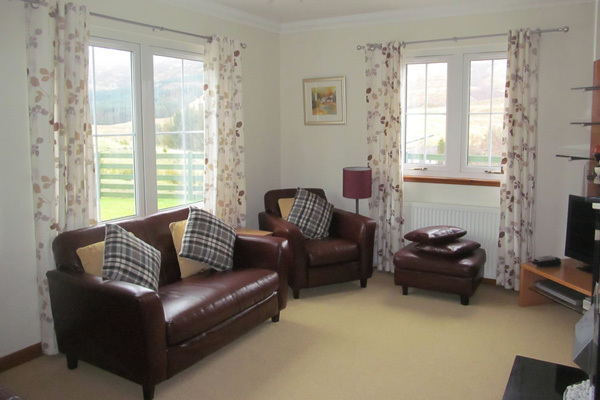 The cosy sitting room has spectacular views of Ben Nevis and is furnished comfortably with a leather suite and all mod cons including Sky TV. 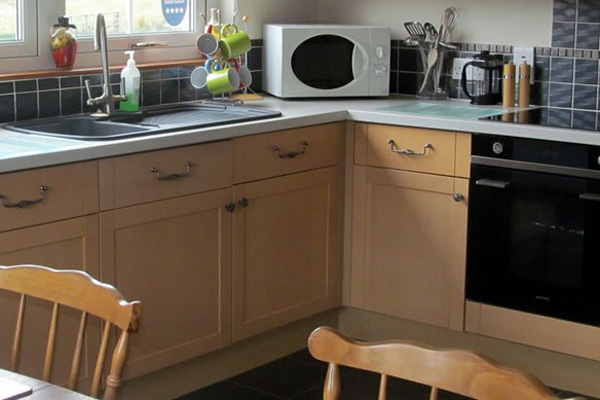 There is a fully equipped modern kitchen with dishwasher, fridge freezer, tumble dryer and washing machine. Brae Mhor Cottage is newly built in 2005. It is bright and airy and has all the facilities you may need on your holiday. The accommodation on the ground floor consists of a kitchen/diner, sitting room, en-suite bedroom, utility room and a small cloakroom w.c. The first floor contains two bedrooms and a bathroom with a spacious gallery area. The luxurious upstairs bathroom contains a bath and a separate shower and has stunning views of the surrounding countryside. At the top of the stairs is a reading area with a large comfy seat and bookcase with a range of books, including a selection on local interest.